Pres. Duterte will give the HIGHEST CIVIL SERVICE AWARD to late Sen. Miriam Santiago! Last year in December, Pres. 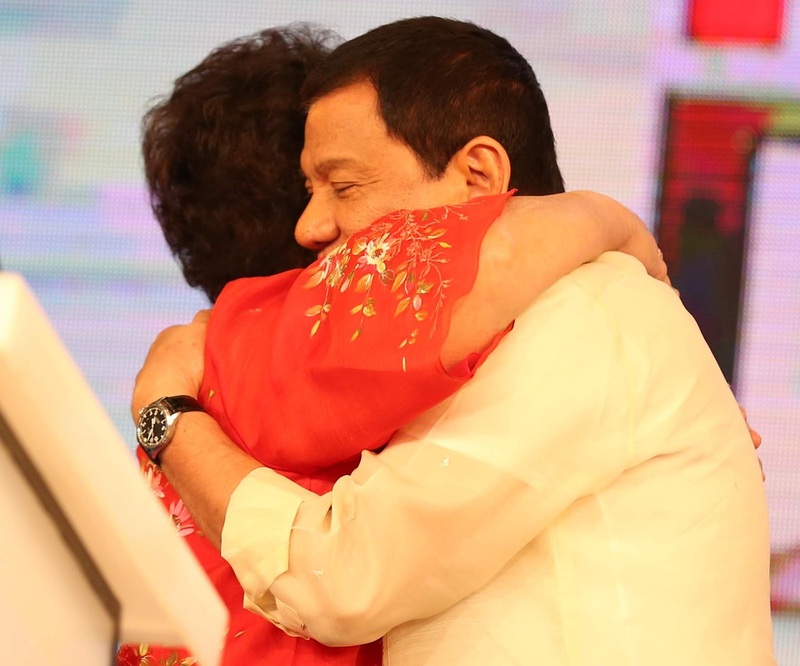 Duterte nominated his co-presidential candidate back in the 2016 elections for the Quezon Service Cross award. The conferment will take place in Malacañang on Monday, December 3, according to a schedule of the President released Friday. The Quezon Service Cross was created on August 2, 1946, by then President Manuel Roxas to honor President Manuel L. Quezon. It is the highest award that the Republic of the Philippines can bestow to any Filipino. Since its creation in 1946, there have only been five recipients of the Quezon Service Cross, namely, former President Emilio Aguinaldo, diplomat Carlos Romulo, the late President Ramon Magsaysay, slain Senator and martial law opposition leader Benigno Aquino Jr., and the late Interior Secretary Jesse Robredo. 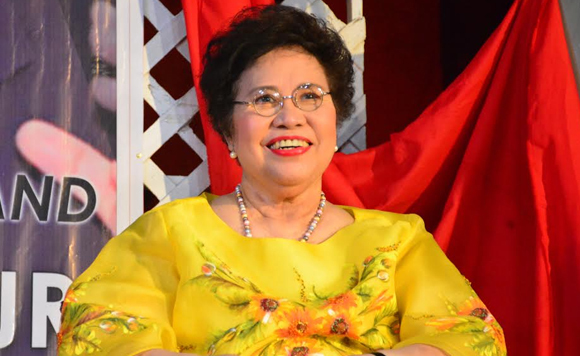 Santiago, known for her fiery and impassioned interpellations at the Senate and funny pickup lines in speeches, spent much of her life in public service. She launched another presidential bid in the 2016 polls but lost to Duterte. She passed away September last year after a bout with lung cancer. She had served in all three branches of the government during her stint in public service. 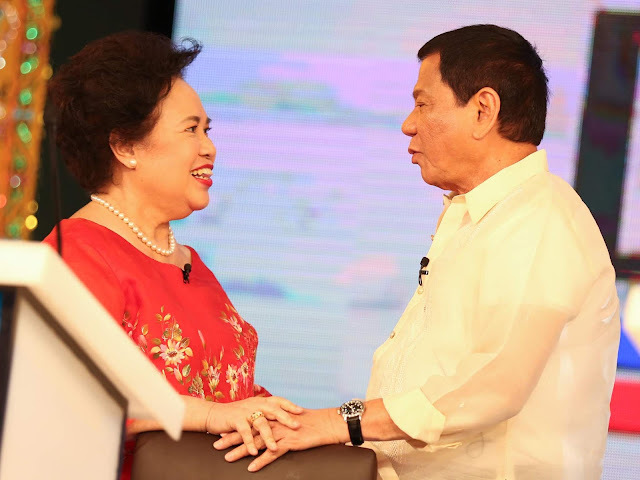 During the 2016 presidential elections, despite being political rivals for the presidency, both Duterte and Santiago have expressed administration and respect for each other.